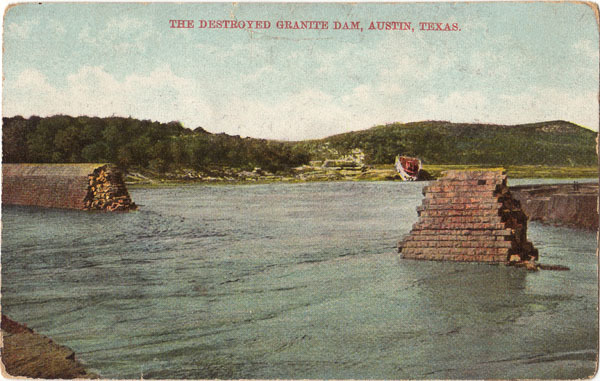 Text on Back: The Granite Dam across the Colorado River, destroyed by heavy floods, April 7th, 1900. Photographed from below the Dam, 4 days after destruction. The Dam was 1200 feet in Length, 60 feet in height. Handwriting: Many thanks for very pretty card.